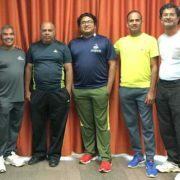 Established in 1986, Colorado Cricket League (CCL) hosted a weekend-long American Cricket Federation (ACF) Level 2 cricket coaching certification session attended by many prospective coaches from the league. A rigorous 3-day high performance camp conducted by Darren Lehmann Cricket Academy (DLCA) in partnership with Texas Cricket Academy (TCA) just concluded in Dallas. 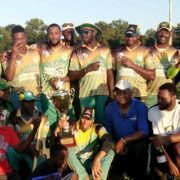 Triggers Cricket Colts League (TCCL) hosted its second annual Awards Banquet at the KISD Center, Houston, TX on Saturday, December 12, concluding the league’s second successful year. Manjeet Inamdar is a talismanic presence in the Colorado Crossbats (CCB) side. He recently achieved a milestone of scoring 2,000 runs in the Colorado Cricket League (CCL).